It's hot in Florida! And although baby wearing can be a lot more convenient than a stroller, sometimes it just gets too hot to have on a bulky carrier. That's one reason I was excited to try the SUPPORi Baby Sling. It's environmentally friendly and does not retain heat due to its permeable design which reduces the threat of heat rash that other carriers may cause. It's very breathable! So, it is great all year round, even during the hot Florida summers. Baby Boy and me on the way to the Zoo. The SUPPORi is capable of supporting babies up to 28 pounds. Baby Boy is now 9 months old and a little over 21 pounds and fit perfectly in the SUPPORi. The material that the sling is made of is very strong and stretchy, but I definitely had to make sure that the sling was fully covering his bottom and hips all the way to under his knees to prevent the hem from digging into his chunky little legs. As long as I did this, he was comfy. Like Step 3 says, you do need to support the baby with your hand. I would not consider this a totally hands free baby carrier. The opposite shoulder strap does support the weight of the baby and takes a lot of pressure off of my arm under the baby. No weight is put on my arm, I am just using it to support my baby's back and keep him upright. The best thing about this sling is that I can definitely carry Baby Boy for longer periods of time without having my arms feel like they're going to fall off. (My child seriously feels heavy after even a few minutes!) Keep in mind though that SUPPORi is not meant to be used continuously for more than 2 hours. SUPPORi is fashionable and stylish too! It's available in a wide variety of trendy colors to choose from. So, whether you’re a mom or dad, I'm sure you can find whatever color will work for you best- red, white, or blue! There is even a limited edition USA design. Check out the more than 15 colors that are available here. Follow & Connect: You can Like Lucky Baby World on Facebook or follow them on Twitter. Buy It: You can buy the SUPPORi on their website. 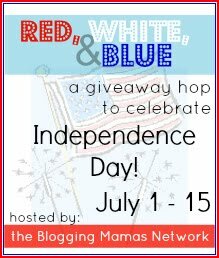 Win It: Come back July 1st and enter to win a SUPPORi in the Red, White, & Blue Giveaway Hop! I love that it is lightweight. This would be the perfect carrier to throw in a bag to have handy for those times when your little one just wants to be carried, but your arms/back are tired! I love the color selections. This would be nice to have in the summer. My current sling is very hot this time of year. Light weight baby carriers are so hard to find! I'm taking my (will be) 2 month old traveling next month and my biggest concern is keeping him cool while I wear him. 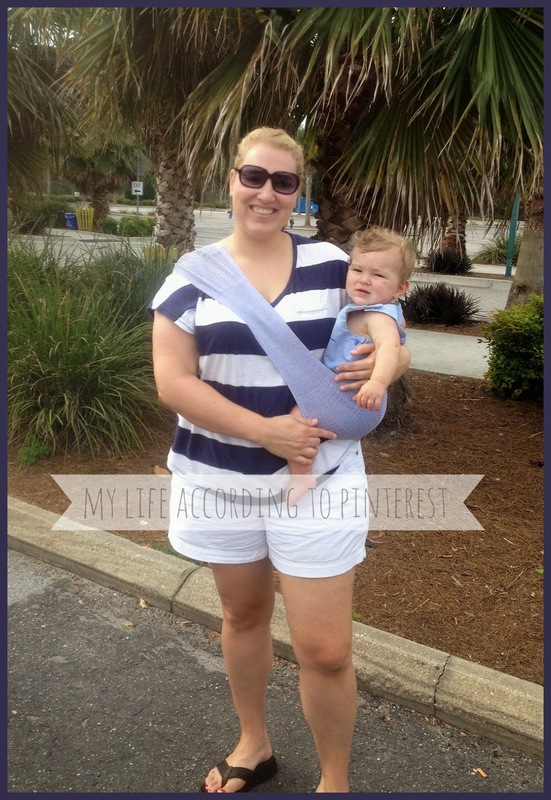 It seems like this would be really easy to throw in a diaper bag and always have handy! this would be so nice to just keep in the truck for days out its compact so just grab and go. I used the Moby with my first son until about 6 months when it really started to become too much of a hassle. I never transitioned into any other carrier. I am pregnant with my second and I think babywearing will need to happen past 6 months. This sling looks so easy and lightweight - 2 seriously important attributes! Thanks for the review! What a great little carrier. Seems just right for short trips to the store or even at home when he's being a little grump and just wants to be held. At 19 lbs that's getting harder to do, even though DS is only 4.5 months! That carrier looks great! It's easy to take with you anywhere, it's light weight, and it looks extremely easy to use. Doesn't seem like there's anything not to like. I would definitely love to try it! love how lightweight it is, and how many color options it has available.. This looks really great. I love that it can be taken off and just put away easily. The portability and ease are major plus's for me! I love that its so lightweight, you can easily pack it away in diaper bag, breathable, and that its on your hip. Even w/ soft carriers, I demand that it has hip carry, b/c well, it just seems natural! And its soooo easy to use!! Wow! I love the simplicity and lightweight material. Makes it so much easier for travel and lessens the "added" weight like most other baby carriers. I love that it packs away nicely, and is lightweight, but do you feel it supports baby enough? This would be perfect for trips to the beach! I love that it is light weight. My baby girl gets so hot in the one I have now. Good information that you provided, like not totally hands-free and use for no more than 2 hours. Thanks!